Johnny worked in security for a professional basketball team. When he turns up dead, it looks like a suicide. His widow Roseanne, her brother Graham, and her friend Randy, push the police to take a second look, and it turns out to be murder. The trio is dissatisfied with the lack of progress on the case, so they take matters into their own hands. Before they know it, they are deep into the world of drugs, gangs, and Russian mafia. But will they be able to catch the killer? This book has a cinematic quality to it. There are serious action sequences quite early in the book. The title is completely appropriate, since less than a third of the way into the book I lost count of the bodies that had piled up. There is a lot of violence in this book, but it is not overly graphic or gratuitous. The violence serves the purpose to further the storyline. Nothing happens in this book without a purpose. The character development is typical to a thriller murder mystery. We do not get overly close to the characters, except maybe for Randy. We do get a bit of a personal look into Randy's psyche. But all the characters are developed thoroughly within the boundaries of the story. In a story like this, we do not need to get to close to the characters, we need to focus on the action as apposed to the relationships among the characters. Unfortunately, I do not know enough about the world of gangs and drugs to speak to the novel in terms of realism. From my point of view, the book seemed jam packed with a lot of intensity and action. The reader is pushed further and further into the book to learn who is behind all this death. I think fans of thrillers and murder mysteries will enjoy this book. A couple of the winners told me already started (and in some cases finished!) reading the book, and are loving it! Kate wakes up with her memory ending when she is 17, without a clue what is going on, and in a stranger's apartment. It becomes clear that Kate is not actually 17, but is in fact suffering memory loss. The stranger quickly becomes a friend, as he tries to help her figure out who she is. Just when it seems their friendship may become more, they receive word that Kate is actually Donna, and her husband has tracked her down. Now Kate/Donna must try to unravel the rest of the mystery and figure out where she goes from here. Having read quite a few books by this author, I felt like this book took on a very different feel from her previous work. Character development was handled a bit differently, and I would think this was purposeful in order to keep with the feeling of self discovery. How can Kate's character be fully developed when she herself has no clue who she is? We learn snippits of information about her, because that is all she is learning as well. In some ways, this is confusing and frustrating, but really, that is what draws us to Kate as a character; we are feeling the same confusion she is. I actually quite liked the slightly stormy storyline. I liked watching Kate wrestle with her identity as Donna. I was quite surprised with the choices Kate made in terms of her romantic attachment, I really did not think it was going to go that way. All in all, a solid story, and most fans of Wardell, or chick lit in general, will like the book. I think they key to really enjoying the book is understanding the mental state of the main character, and the fact that the story is unfolding from her point of view. Push through the confusion, the resolution is worth it. I received a review copy courtesy of the author as part of a blog tour. See full tour info here. The Shelby family owns a plantation in Kentucky, and within their plantation system, they own slaves. Yet these slaves see the Shelby's as loving masters. Having financial difficulties causes Mr. Shelby to sell two of his slaves, Tom, known as Uncle Tom by many, and young Harry, son of Eliza, a house slave. When Eliza hears of the plan, she takes Harry and escapes, in the hopes of making it to Canada. She is pursued by the slave trader who purchased her; eventually she is reunited with her husband and the family makes their way to freedom. Meanwhile, Tom is taken away and sold to the St. Clare family. The St. Clares are good to him, particularly the young daughter, Eva. After a series of family tragedies, Tom is sold by Mrs. St. Clare, and becomes the property of Simon Legree, a heartless and cruel master. This book is a difficult read, for various reasons. Written and published in the 1850's, the books subject matter and language both seem so foreign to me. The main theme of the book is the evils of slavery, and the potential redemption of the sin of slavery through Christianity. The book is credited with bring the issue of slavery into the national political spotlight. Part of the evil of slavery, as shown in this book, is the concept of ownership over another human being. The idea that one man can own another, and that the Master-slave relationship trumps all others. I cannot even fathom the idea of ones child or spouse not actually being their own, but instead being merely the property of the master. Women lose their children, men lose their wives, and they are expected to just accept it, because they are slaves. The masters portrayed in the book are varied; some treat the slaves well and eventually free them, while others beat their slaves mercilessly. It makes the subject matter complex, in that some slaves do not appear dissatisfied with their bonds. Similarly, one of the minor characters in the book, Aunt Ophelia, is an abolitionist, yet she appears to me as one of the most racist characters in the book. While she finds slavery to be evil, she also finds the black race to be distasteful. I find the complexity of this character, along with the complexity of the good Master-willing slave relationship, to be compelling, and find that it adds significant depth to the story. The language, I will admit, is a bit difficult. Some of the slave dialect was quite difficult for me to decipher, yet I found it to seem more real that if the slaves had spoken grammatically perfect English. The realistic dialog helped the characters come to life. The language and social morals are so significantly different from our own modern ones that I can see how this book might be intimidating or off putting to many readers, but I urge them to stay with it, and try to find the deeper message in the story. While this book is certainly not without its flaws, I have to respect it, and recommend it, if for no other reason that the important role it played in American history. We may not be proud of this portion of our history, but we have to acknowledge it in order to grow as a nation. Follow the teachings of a family as they teach their children basic financial management. By using three different cups, the family shows how money can be portioned out for saving, spending, and charitable giving. The child learns to split his money between the cups, having a visible reminder that each day there is a choice in terms of how to handle one's money. The lessons are accompanied by lovely full color illustrations. I thought this book was simply lovely. The writing presented the concepts in a very basic, easy to understand way that will be engaging to children. Parents can easily read this book to their children while presenting three cups of their own to institute the lesson within the story. I think it is quite valuable, and a great starting point that will allow parents to have discussions about charitable giving, and the fact that there are so many in great need. This is a lesson my own parents taught me at a young age, and I love that this book can be a vehicle to pass the valuable lesson on to other children. I particularly loved the illustrations in the book. I read an ebook, but if I had a child I would prefer to have a hard copy so that he or she could go over the concepts spelled out in the story and illustrations on their own. In short, I thought the book was simply gorgeous and a perfect starting point. If you are looking for a book to help your child learn about money management, and charitable giving, then this is the book for you. Today, two wonderful things happened. First off, I broke into the top 1000 reviewers on Amazon. Thank you to everyone who has helped me along the way! Ever since Laci was a little girl she's been growing out her pretty, brown hair and chopping it off to send to Locks of Love. When Greg moves into town and finds out what she's doing, he thinks it's a great idea...so he starts doing it too! It's just one of the things that reserved, young David must tolerate as their friendship grows throughout the years. As they near adulthood, they grow not only closer to each other, but closer to God as well. David finds himself content in every way, but when tragedy occurs David must struggle to find his way back to God. Here is your chance to experience the book for yourself. All you need to do is complete the form below to be entered to win one of 10 ebooks for either Kindle or Nook.. Don't have an ereader? If you download the Kindle application to your computer, tablet, or smart phone, you can read your ebook on that! All you need to do is tell me your name, email address, which format (Kindle or Nook), and why the book appeals to you. These are the only requirements to be entered into the giveaway. So, as you see, plenty of ways to earn extra entries, and with 10 copies being given away, lots of opportunity to win! Contest will end at 12:01 EST on January 21. The email addresses of the winners will be submitted to L.N. 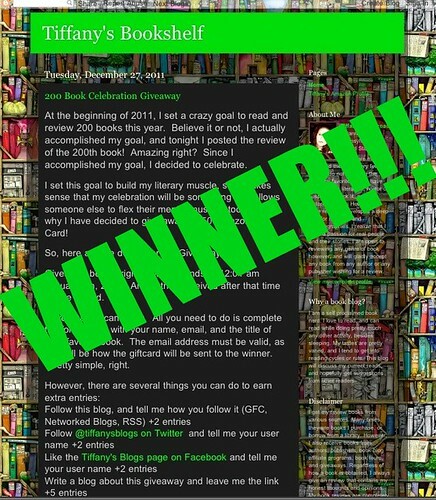 Cronk, and she will send the ebooks directly to the winners. Now the only thing left to do is enter! The Peach kids have not had it easy these last few years. They lost their mother, which left them in the care of the grandmother and their father. When their grandmother also dies, their father is left taking care of the family. The hours he does not spend working to support his kids, he spends drinking to forget his heartbreak. When he also gets sick and dies, the kids are left to fend for themselves. Thank goodness they encounter plenty of divine intervention. From the beginning, I had a very hard time connecting with this book. I absolutely adored the setting of 1960's Brooklyn, but I felt as though the setting could have been better described, to help create a richer storyworld. Also, I had a hard time connecting to the characters. While the back story of the Peach family is well explained, the characters themselves just did not connect with me. I think in a Brooklyn neighborhood such as theirs, ethnicity would have played a stronger part of family identity, so the fact that this was not at all described kind of puzzled me. The family's religious identity was well described, but I would have better connected had I been able to think of this as an Italian Catholic or and Irish Catholic family. It would have filled in a lot of blanks about their identities. Perhaps this was discussed and I just did not pick up on it. The story moves pretty quickly, with the now orphaned children encountering bad luck and road blocks pretty much at every turn. I liked the story, and thought it quite sweet. I particularly liked the portrayal of the family's Catholic faith. The theme of love your neighbor is certainly one that we could stand to see more of in the world, so I greatly appreciate that being portrayed in the book. It also stressed not to judge people based on your impression. We are given the impression that Mr. Peach is just a drunk, when really, despite his drinking problem, he was a good Christian who had a huge impact on his community. All in all I did enjoy the book, I just wish I could have felt a little more connected to it. I received a review copy courtesy of the publisher as part of a book tour. Thank you all so much for reading, following, entering, and encouraging me as I moved toward my goal throughout 2011. My reading challenge for myself is going to be classic literature. I have decided to not set a specific number, but instead will be read as many works of classic literature (that I have not previously read) as I can. The whole goal of my personal reading challenges is to strengthen my literary muscles, so why not spend some time with the masters? David finds himself confused once in a while. These days, he catches himself doing an odd thing or two, but chalks it up to daydreaming. A devastating diagnoses lets David and Laci know that their lives together are about to change, quickly, and the results will be heartbreaking. Slowly, David is fading away, and soon, the David he has always been will simply be... gone. Grab some tissues if you are going to read this book. I think, for me, this has been the most heartbreaking book so far in the Chop Chop series. First off, we are seeing the slow whittling away of a character we have watched grow up throughout the series. It is like losing a friend, truly. For me, the book had an even deeper impact, as my grandfather had a form of the same disease that David has. I remember, vaguely, what it was like to have a person slowly fade away. It is incredibly difficult, and I think Cronk does a beautiful job of portraying this reality in a gentle way. There is quite a jump in time from the previous book in the series to this book, and in some ways I really like that. It is nice to know that this family had a long period of time where things were status quo, un-noteworthy. However, I secretly hope that once the series ends, Cronk will be inspired to write about the lost years of David and Laci. We learn that they adopt more children, who are minor characters in this book, but because Cronk is so wonderful at character development and dialogue, I do crave hearing how each child entered their lives. The book certainly has a different pacing and tone from the previous ones in the book, which I personally appreciated. While I have loved every book in the series, I think it was a wise decision to make this one different; it helps keep long time fans of the series on their toes, and gives them something completely new, wrapped in the packaging of characters we know and love. As always, Cronk writes with heart and honesty, which is why I find her books so touching. I wept my way through the ending, and found myself anxiously awaiting the next book in the series. Jack Woodson is back for another year of teaching adventures. Each week or so, he recounts his adventures in educating to his friend and former coworker. Read about the continued trials of Mr. Woodson as he discusses the perils of third grade, the trouble with falling in love, and the ever dreaded Texas standardized tests. I just love the way Pearson writes the story of Mr. Woodson. I think it is quite clever how Pearson uses the email format, once again, to help relay the weekly happenings. It makes the reader feel like they are eavesdropping on real life conversations. Since I know quite a few teachers, I know how much these amusing stories are grounded in reality! I really liked the further development of Jack Woodson's character, and the peek into his private life. The relationship with Jill added a lot to the book, and it was nice to see a bit of vulnerability. And I just adore the cast of kid characters this time around. So many endearing and kooky kids. All in all I thought the book was hilarious. It will appeal to teachers without a doubt, as well as lots of everyday readers as well.